The other day I posted a thought after staring into the eyes of the lobsters in the tank at the Star Market. The lobster tank at the supermarket: some fight to be on top, some are resigned to be the bottom, but we’re all in the same tank. This post provoked three comments, all from Maine writers. Morgan first suggested that someone needed a nap, a bit of a a surprise since I was feeling sprightly when I posted. Cecile pointed out the precariousness and slippery slope down for those perched on top. Lesley lamented the uselessness of armature and claws for creatures confined to a store tank with no hope for the future. In front of the heap of holiday lobsters, some so still I thought they might already be dead, a few fighting with their scrawny legs and searching with those tentacles, Jim paused and said, “Bugs.” Awfully big ones, if that’s the way you look at them. My take on the moment was akin to but not exactly in line with any one of the above. 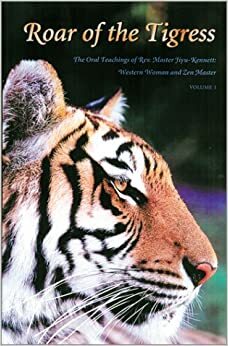 It was a rather Zen moment in its depth and absurdity, which is perhaps fitting since I had been reading Roar of the Tigress, a compilation of oral teachings in the Zen tradition by Rev. Master Jiyu-Kennett. She suggests steering clear of meditation unless you want to be “grabbed by the Cosmic Buddha.” Too late, this warning has come, and thus I felt the aliveness of all of those creatures–the ones waiting to die, and those fighting towards death. I also felt the constriction of the rubber bands on their claws, and wondered what those waving tentacles might be searching for. One lobster had cleared a space around itself in the overcrowded tank, fighting off any who wanted to move in or who had the misfortune of falling off the heap. A feisty old bird, I thought, mixing my phyla; he/she is not going to taste any good after all of that fighting. Jim had moved on but returned to say, “You can have just their tail over there.” Oh great, those are the ones that managed to be ripped apart despite the rubber-clamped claws. Of course I have no idea of the actual history of the lobster tails perched on ice, but this scenario certainly fit my melancholy view. I do eat meat, but I had a spark of appreciation for the allergy to crustaceans that I developed a few years ago that keeps me from indulging in lobster. Before one assigns too much of a metaphysical significance to this allergy, I’ll note that I also have allergies to many, many raw fruits and vegetables. Even so, the lobsters were miserable, and there’s no need to treat them badly on their way to a certain death. I was in the presence of “bugs” that were beings with individual personalities and hopes… and dreams… and maybe that’s why a nap was suggested. The other Zen part of the experience was moving on to the realization that those lobsters were no more miserable than I and my fellow humans are with our glass walls of beliefs and rubber-banded psyches. Yep, there’s no outside-of-the-tank for any of us. Not a bad thought, more of a nod to the physical, universal condition. 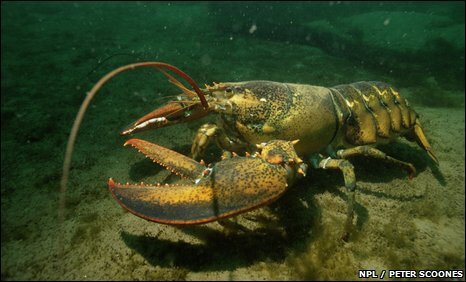 Even a lobster traipsing free in the sea cannot range outside of its physical condition or avoid a certain death. Which brought me back to the absurdity of all of our striving. « On the occasion of the 91st anniversary of the birth of Arnold Sparks, Sr.